As someone who spent many years working directly with automotive dealers publishing content, promoting holiday sales and maintaining websites, I’ve witnessed quite a few marketing bad habits within the dealership. The most common theme I’ve witnessed is that more often than not, dealers are not aware of the bad habits or maybe the habits don’t seem bad or serious enough. 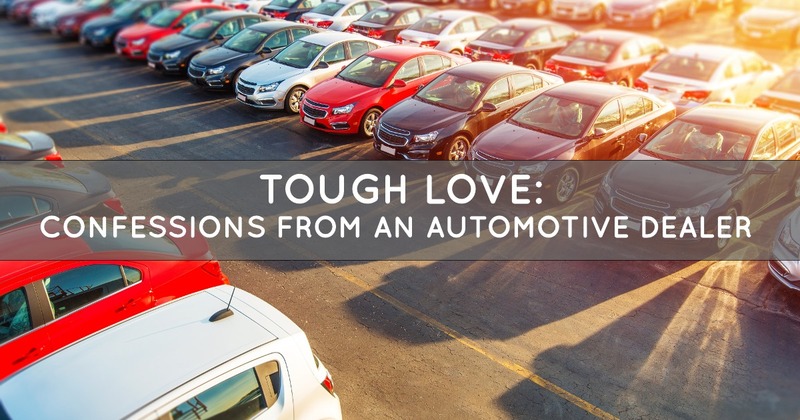 I sat down with my colleague, Carter Davis, a Netsertive Client Success Manager, on Valentine’s Day for an informal chat on dealership marketing and some of the bad habits he’s witnessed throughout his career. Carter has spent 7+ years working with dealers and had one interesting confession (and success story) of an auto dealer who was stuck making bad habits. Netsertive had a large auto rooftop in the midwest who had been doing digital marketing for a while but signed with us after being unhappy with their current digital marketing provider. Upon talking to the dealer and defining the measures of success, it became apparent that the dealer had a very heavy focus on views. The dealer cared primarily about how many eyes saw his dealership’s ads and that’s the metric that was most important to him. That’s the way he had been measuring success and that’s the way he wanted to continue. Despite direction from our auto experts, the dealer didn’t care about clicks, conversions, placement, etc.. he just had the mentality that “the more people that see us the better.” This is a very traditional way of measuring marketing. Think about your physical dealership. Tons of people drive by it daily and “see it” but how many are pulling onto your lot? Carter and the dealership went down this road for a few months until the dealership had an ah-ha moment and realized that marketing is more than just eyes. Carter implemented a strategy to not just get eyes, but the right eyes that were in the market and ready to buy. Additionally, he made sure the direction of the campaign would focus on clicks and conversions. Breaking this bad habit resulted in a 15% CTR and 20% conversion rate! The takeaway? Continuing to do things the way you’ve always done things may be leading you down a path of decline. The longer these bad habits grow, the more difficult they are to change. For more information, watch our Valentine’s Day webinar to hear more of Carter’s story and the top 3 bad marketing habits you should break this year. Watch Now!